Exceptional detail; high quality components for a simple upgrade. As early as 1958, Sweden began to negotiate with the United States to purchase the Falcon missile with infrared homing sensors. Their choice fell on the AIM-4C which was then produced under license by SAAB under the name Robot 28th. 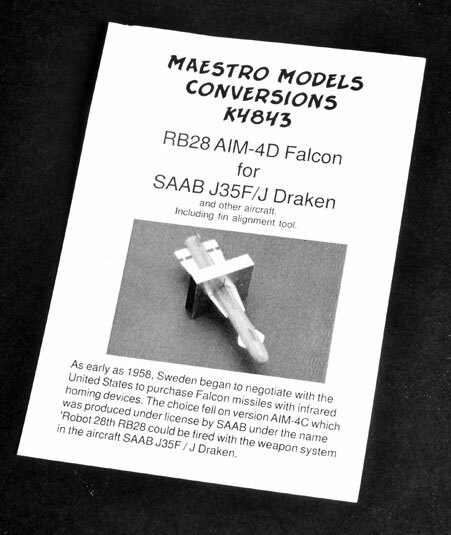 The RB28 could be fired with the weapon system fitted to the SAAB J35F/J Draken. 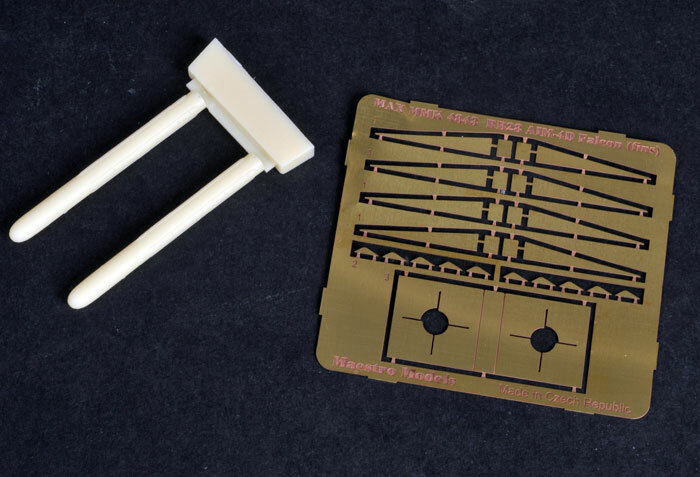 The set produced by Maestro includes two missile bodies crisply moulded in a pale cream coloured resin while the fins are produced in etched metal. 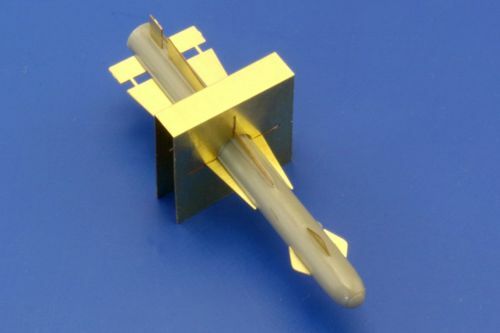 An etched metal alignment jig is also provided to assist with alignment of the etched metal fins while gluing them to the missile bodies. Overall, this is another excellent product Maestro models. It will also be very simple to install the set.